Does your restaurant or fast food organization spend a lot of time on the telephone taking orders for delivery and takeaway food? Oganro can help you to build your own Online Food Ordering system to streamline your whole food ordering and delivery process. 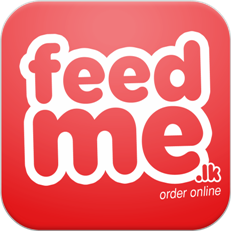 Having online takeaway ordering solution will help your customers to build their order online with ease. Our team of professional software developers & front end designers are fully capable of developing custom software to match your restaurant and to your specific need. At Oganro we know a successful restaurant requires more than just tasty food. We can offer a complete restaurant order management and delivery management software with Click & Order windows that will have every menu item from your restaurant included. It includes a Comprehensive Administrative menu that allows you to update anything, whenever you want. It will also allow your customers to make special requests. Your customers can build a Order Form online from the convenience of their office or home. Once the order is completed restaurant owners or restaurant admin can receive clear and concise order confirmation via email, fax or as a text. You don’t have a restaurant website? No problem! You DO NOT need a website to use our service! However, if you would like your own website, we can design & develop one for you at a very reasonable price. Just call us for a quote. Below we have list down features which can make convenient and relaxing for users as well as for restaurant owners when making food orders for pick up or delivery! If you would like to try the Admin Demo, just call us and we will assign an Administrative Email Address and Password for you. Then, you will be able to have state of Online Restaurant Order management systems and evaluate benefits and features easily. Below is a list of features & facilities what Restaurant owners will be having when using Online Food Ordering Systems? Create Loyalty programs as well as restaurant specific special offers. Click & Order Menu using secure checkout & Check Boxes for options – You’re done! Obtain Loyalty points and access to various Restaurant special offers.